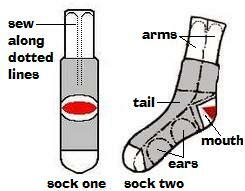 Drop into a sock monkey book, follow adventures of fabulous stuffed red heel socks. There is Tony Millionaires: A Children's Book. Sock Monkey Dreams, Sock Monkey Rides Again and if you are in mood for a little dancing there is the sock monkey boogie-woogie. Even sock monkeys need to shake their tails and get down and groovy, just like you and I.
Sock Monkey: A Children's Book. Tony Millionaires Sock Monkey returns in his first-ever full-length book! This book tells us about Uncle Gabby the sock monkey in a mix of comics and illustrated text. 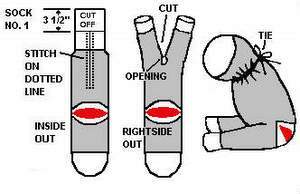 Sock Monkey Rescue Kit (Activity Kit). This Rescue Kit contains an orphan Sock Monkey for you to adopt and a 16-page owner's manual that includes a Certificate of Adoption, tips on care giving, and places to record Sock Monkey milestones. Sock Monkey Dreams. The residents of the Red Heel Monkey Shelter, a refuge for abandoned sock monkeys, reveal a world that looks surprisingly like our own. Sock Monkey Rides Again. 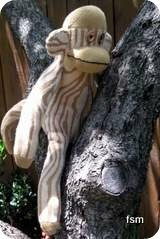 Sock Monkey lassos a part in a singing cowboy movie, if he can only get up the nerve to kiss the leading lady. Sock Monkey Syndrome. Fed up with being dragged through the mud, the muck and the mire of life? Tired of tumbling uncontrollably in the washing machine of faith while waiting to come out clean and whole in the end? Have you got a sock monkey to hug? That's great if you have, you can curl up with your little fella and soak into a fun book and read all sorts of sock monkey tales. 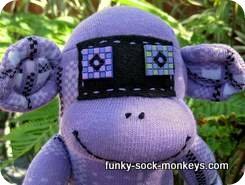 The purple sock monkey below was made from a pair of knee high socks, so she has very long arms, legs and tail. Perfectly long arms for hugging or hanging from things. Just click on her picture to find out exactly how I made her.